Thus, it is time for me to return next year to being a wife, mother, grandmother and daughter (yes, my mother is 89 and still a big part of our family). Simply said, I am not running for re-election to the Senate and looking forward to time with my family! Thank you for your support over the years. 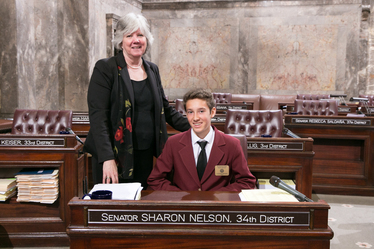 It has been an honor to represent Washington state. OLYMPIA — Passage of the capital budget on Jan. 18 directs much needed funding to the 34th Legislative District, and to Washington as a whole, said Sen. Sharon Nelson, D-Maury Island. 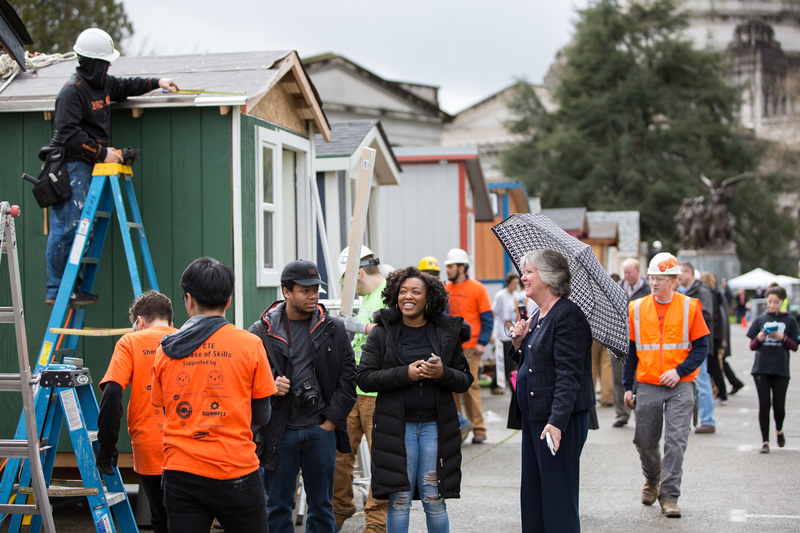 The budget will invest more than $4 billion in necessary, life-changing projects statewide. For the first time in decades, the Legislature failed to pass a biennial capital budget in 2017 after Republicans tied it to an unrelated issue. But after less than two weeks of Democrats’ control of both the House and Senate, lawmakers were able to move the vital budget forward. Earlier this year, the Legislature passed SB 5346, creating the Gina Grant Bull Memorial Legislative Page Scholarship program. The scholarship’s goal is to ensure lower income families have the opportunity to participate in the Senate Page Program by helping to offset the expenses of traveling to, and staying in, Olympia the week their child pages. Scholarships are available for the 2018 session. Who are pages, and what do they do? Senate pages assist in floor activity, make deliveries around the Capitol campus and go to the Senate Page School where they write bills and participate in mock committee. Pages must be residents of Washington who are at least 14 years of age and have not reached their 17th birthday. Application information can be found here. The scholarship is based on the 2017 federal guidelines for free and reduced lunches. For verification purposes, applicants must supply a copy of the letter of approval issued by the school district when submitting their application. Students in foster care are automatically eligible. Students selected for a scholarship receive $150 to assist with housing, food, clothing or coverage of daily commuting costs. Additional scholarship funds are available to help defray travel costs; this can range up to $125 depending on where the student lives. 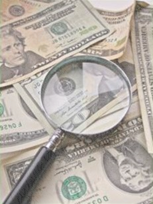 Scholarship pages, like all pages, will earn the traditional $35/day stipend. More details about the scholarship program can be found here. The page scholarship application form can be found here. Budgets show our true values, and the priorities advocated for by the two parties in the budget this year are clear: Democrats committed to fully funding schools and protecting the safety net, Republicans committed to a statewide property tax. 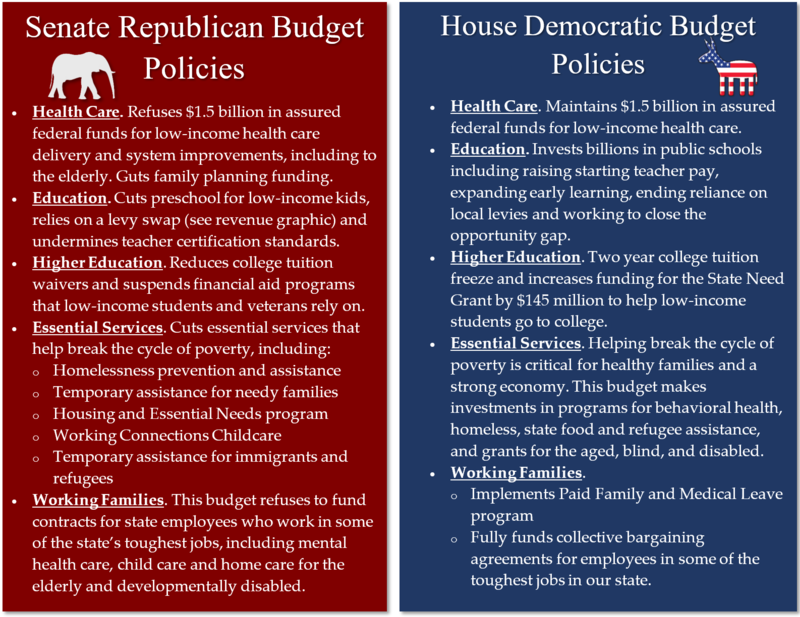 In a way both parties got what they were after when the budget passed late last week – a Democratic budget with Republican funding. In this newsletter I will share with you some details of both the $43.7 billion state operating budget – which I voted for – and the education funding bill, which I unfortunately could not vote for. Despite the challenges of the session there is undoubtedly a great amount of good that will come from the work done these past months. I am extremely disappointed by the way our schools are funded, but I am encouraged to know that amply funding public education is the best investment we can make in our state’s future. We live to fight another day, and I will not give up working to make our state more affordable and fair for all Washingtonians. Thank you for taking the time to read this update and stay in touch. Additional funding for a number of essential programs that help struggling families, including Working Connections Childcare (which helps low-income parents have affordable care for their children) and Temporary Assistance for Needy Families. Additional funding for mental health and homelessness services. A new department that will better serve foster kids and other vulnerable children and families in our state. Democratic negotiators were also able to beat back many damaging proposals put forward by Republicans, including devastating cuts to essential services, programs that help homeless youth, veterans and the elderly, and a significant cut to family planning. I voted for the budget because it reflects the values we hold here in the 34th Legislative District – those of good government and protecting the vulnerable. I am in strong support of the vast majority of the policy included in the education funding bill, as well as the $7.3 billion of new revenue that will go into Washington schools over the next four years. Unfortunately, I had to vote against it because of the reliance on revenue from a Republican property tax that hits communities like ours especially hard. Numerous progressive revenue options proposed by Democrats, including a capital gains tax on the sale of high-value stocks and bonds and a progressive real estate excise tax, were flatly refused by Republicans. 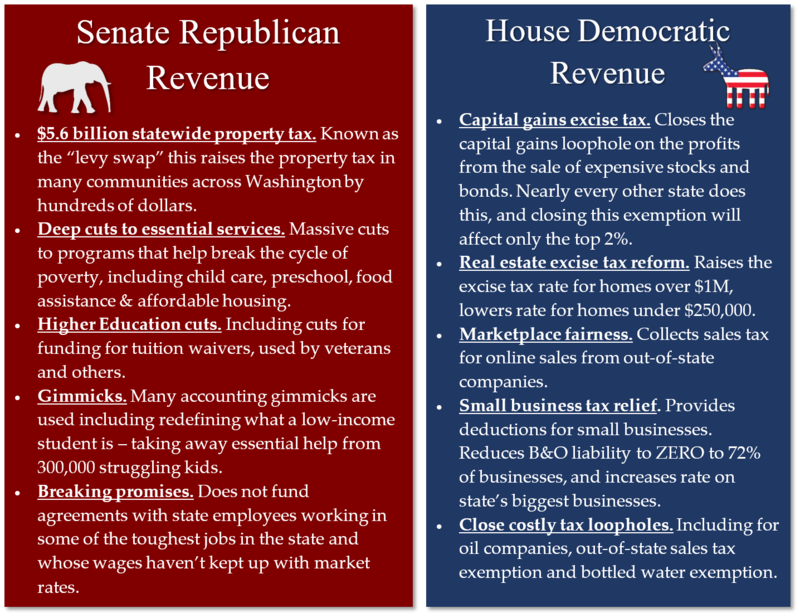 We managed to close several tax loopholes, including on bottled water, big oil and the out-of-state internet sales tax. But in a state that has the most unfair tax system in the nation these steps forward were simply not enough. Despite my no vote, the education bill did pass. Our district will not receive less funding. Vashon Island School District will get an estimated 33% increase in state funding over the 2016-17 school year by full phase-in of the bill in 2021. 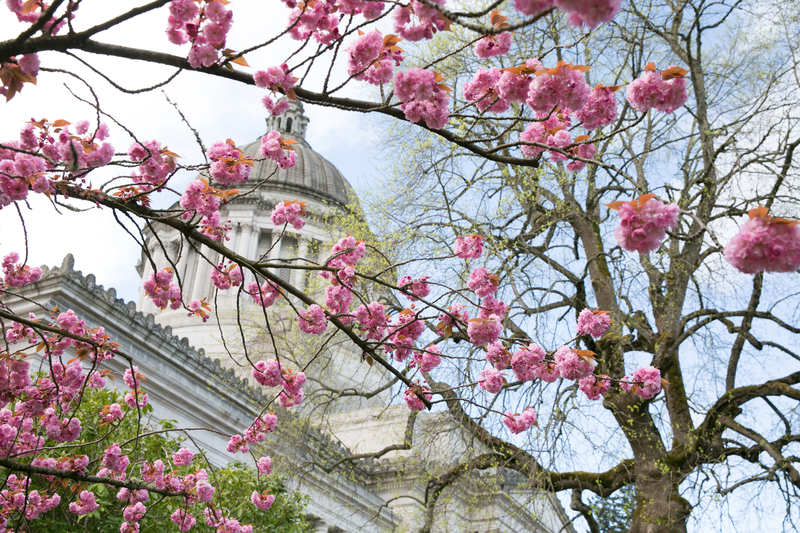 High cost-of-living districts, like Vashon, will receive “regionalized” pay. That means base salaries for school staff are allocated at a higher rate. 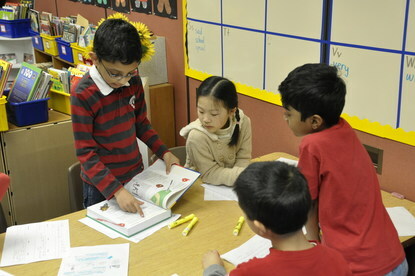 Local levies are still allowed for enhancements to basic education, and changes to levies do not take effect until 2019. More money will go into our schools, but we will see an increase in property taxes. I encourage you to go to the Department of Revenue website as there are a number of property tax reductions and exemptions you may qualify for (here). 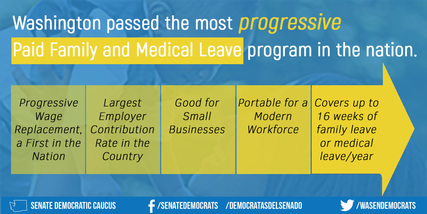 Paid Family and Medical Leave passes! 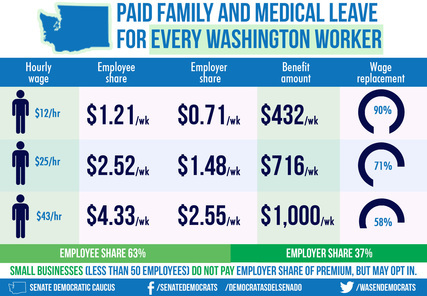 At the end of session the Legislature passed the nation’s strongest Paid Family and Medical Leave law. 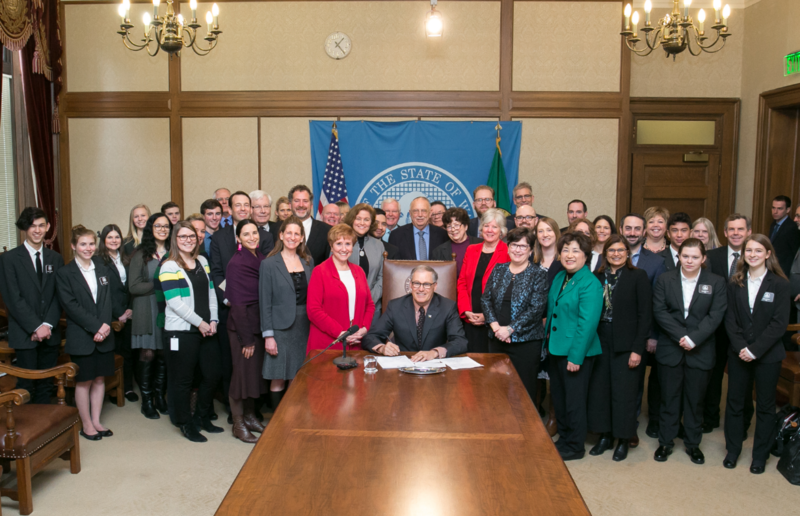 Washington is now the 5th state in the nation to pass such a program, but this bill – supported by business, labor and family advocates – will likely serve as a model for other states looking to pass similar legislation. Senate Bill 5975 is a huge win for new parents and those caring for elderly family members. The Legislature also passed a bill to address high-stakes testing for high school seniors that ensures thousands of hard-working students graduate. House Bill 2224 delays the use of the state science test as a graduation requirement until the graduating class of 2021 (retroactively applies to class of 2017), and provides an appeal process for graduates of 2014-2018 who failed to pass math or English assessments. Like many of you, I am frustrated at how long the session is taking and how little public scrutiny was allowed before the final vote on the budget. Because Senate Republicans refused to come to the negotiating table for two months, they brought our state to the brink of the fiscal cliff and shut the public out in the process. Sadly, this is not the first time – every budget cycle since Republicans took over the Senate has gone down to the wire. The Legislature remains in session because they continue to obstruct passage of the critical capital budget – which passed the House 92-1 – over their unwillingness to compromise on a water rights issue. This is no way to govern, and a real disservice to the people of this state. to share your views on the capital budget. Property tax impact information here. Summary of K-12 funding here. As many of you know, the Fauntleroy/Vashon/Southworth route was reduced to a two-boat schedule over the weekend and the Seattle/Bremerton route was running at reduced capacity, with the smaller Sealth. 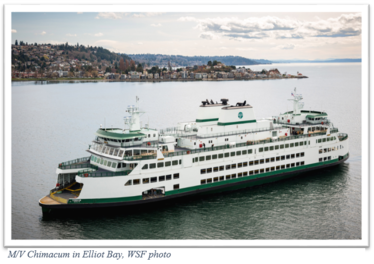 Anticipating a busy holiday weekend, Washington State Ferries (WSF) asked the crew of the newest ferry, Chimacum, if they were prepared to safely operate the vessel for a limited time. After an extraordinary amount of work by the vessel’s crew and support staff, WSF decided to have the Chimacum temporarily start service last Wednesday. I stayed in close contact with WSF officials as they worked out how to best deliver customers to their destinations. I am so appreciative of the efforts of everyone involved at WSF, and for the patience of islanders and ferry-riders. Democrats and Republicans have endorsed competing plans to fund education and satisfy the state Supreme Court’s McCleary decision. Both sides agree additional revenue sources are needed to meet the state’s obligations to our students and teachers. But the two plans vary greatly in the total amount of new investments going to schools and impacts on taxpayers. Statewide, the Democratic plan would invest $8.5 billion additional state and local dollars into K-12 schools over the next four years. By comparison, the Republican plan would invest only $4.5 billion over the same time according to House nonpartisan committee staff analysis. On the tax side of the debate, Senate Republicans are erroneously claiming 83 percent of taxpayers will see a property tax cut under their plan. This claim has been debunked by nonpartisan analysis. Click on the Google Map above to see the school investment and taxpayer impact differences for school districts throughout the state. For more information on the differences in revenue and policy of the two plans, please click here. 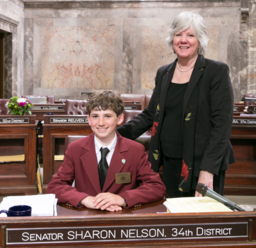 I have had the pleasure of hosting a number of pages throughout session, including Zachary Van Dusen, an 8th grader at McMurray Middle School (pictured left) and Cameron Bedard, a freshman at Vashon High School (pictured below). 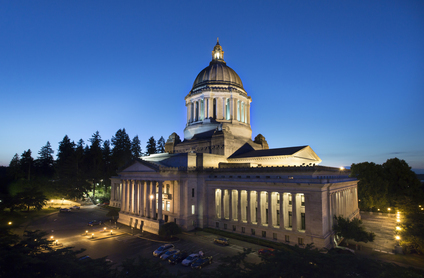 The Senate Page Program is a wonderful opportunity for students between the ages of 14 and 17 to come to Olympia and participate in the legislative process. Pages assist senators and staff, attend lectures with guest speakers, and go to page school where they create their own bills in a mock committee setting. College Junior or Senior in 2018? 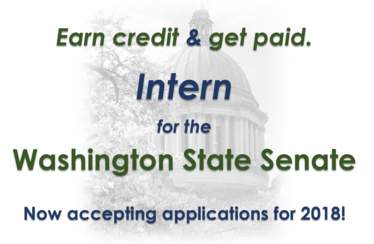 Applications are now being accepted for internships with the Washington State Senate for the 2018 legislative session. Partisan and nonpartisan positions are available in areas of policy and communications. Get credit, get paid and get firsthand experience working in your state government. For more information or to apply, please click here. Washington State Ferries has critical information on its website for all ferry-goers. Click here for cameras, drive-on space availability, and estimated wait-times. You can view travel alerts here. Calling all students ages 14-18! Do you know a student who has a passion for politics or an interest in the legislative process? Then I hope you will encourage them to apply to be on the Washington State Legislative Youth Advisory Council (LYAC)! Applications are now open for all youth (ages 14-18) interested in serving on the 2017-18 council. LYAC is composed of 22 dedicated young people from across the state. Their mission is to ensure the interests and opinions of Washington teens are heard and considered by state lawmakers. When the Legislature is not in session, LYAC works as a liaison with youth organizations in Washington communities to educate the public on civic engagement opportunities for young people throughout the state. They are looking for a diverse group of voices to speak on behalf of Washington’s youth. Applications are due no later than June 1st, 2017 at 11 PM, and can be found by clicking here. If you were not able to participate or didn’t get your question answered, please contact my office. I’d like to thank all of the students, teachers, principals, superintendents, parents, PTA members and everyone who worked tirelessly to finally convince Senate Republicans to work with Democrats to pass this bill. 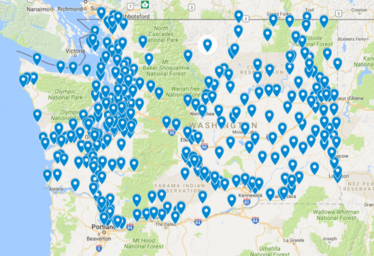 Nearly every school district in Washington would have been affected by the $358 million cut to schools if we had gone over the levy cliff. With that behind us, we can now focus on fully and fairly funding our schools. I hope Republicans will join us in this endeavor and resist the urge to fulfill our educational promise to our kids by cutting programs their families rely on, or by doubling down on our upside down tax structure. 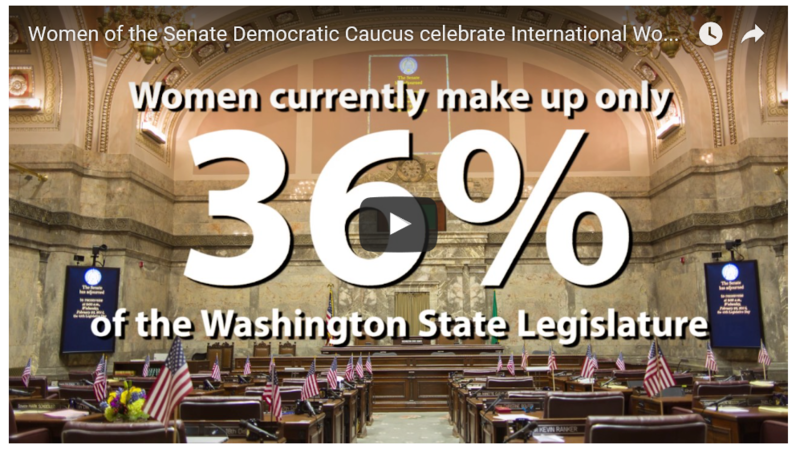 Click here to watch a video by the women of the Senate Democratic Caucus. In this short video we honor Washington women and women around the nation and globe to mark International Women’s Day 2017. 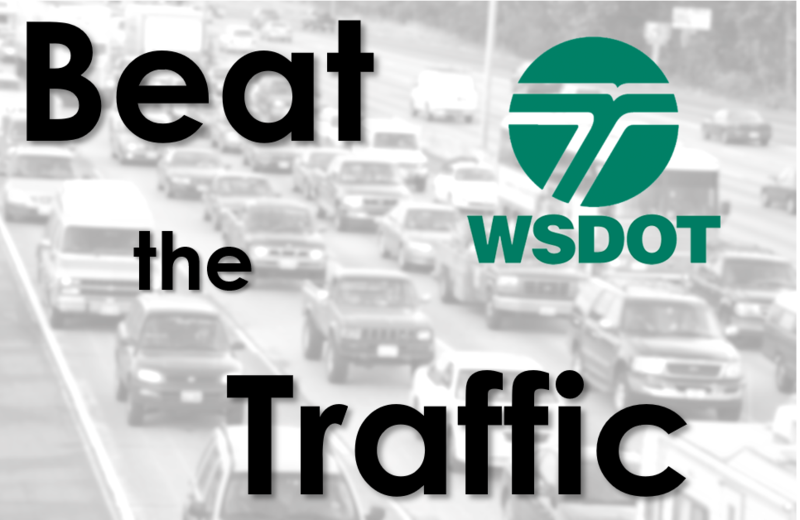 Click here to get real-time traffic alerts from the Washington State Department of Transportation. 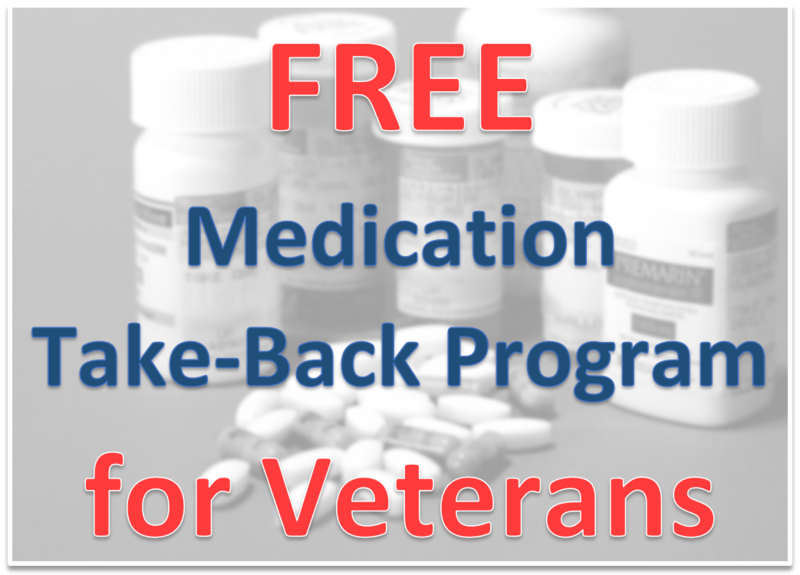 There is a free medication take-back program for veterans. Simply go to your VA pharmacy and ask for an envelope, or use one of the safe deposit sites at VA hospitals. Click here for more details. 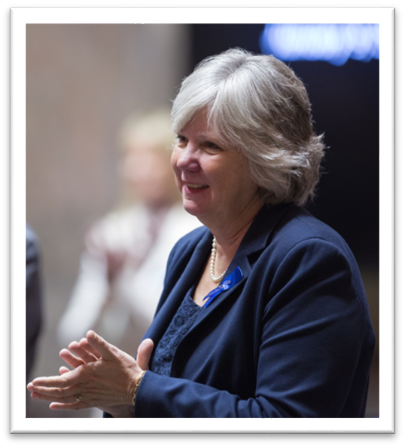 OLYMPIA – A Senate Resolution was offered in the state Senate on Wednesday in honor of International Women’s Day. This year’s International Women’s Day theme was, “Be Bold for Change.” With that in mind, Sen. Christine Rolfes and her fellow women state senators made a short video to mark the day and celebrate women in Washington and throughout the nation and world who are bold for change.